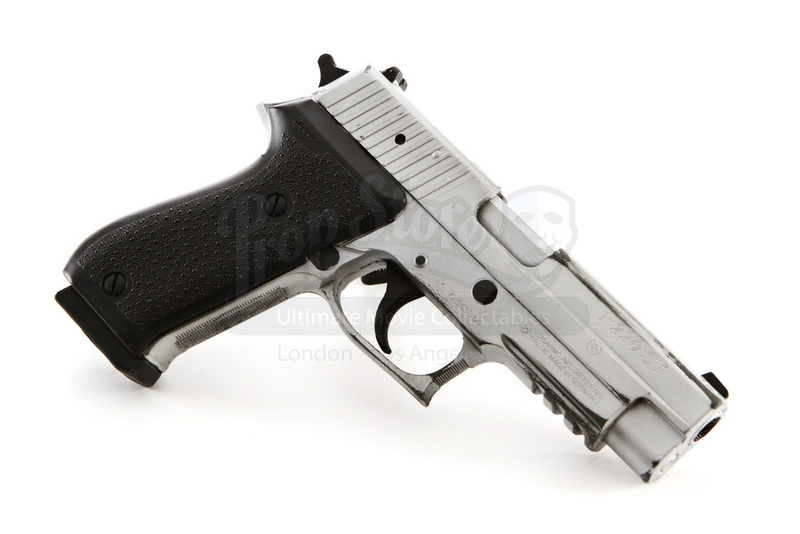 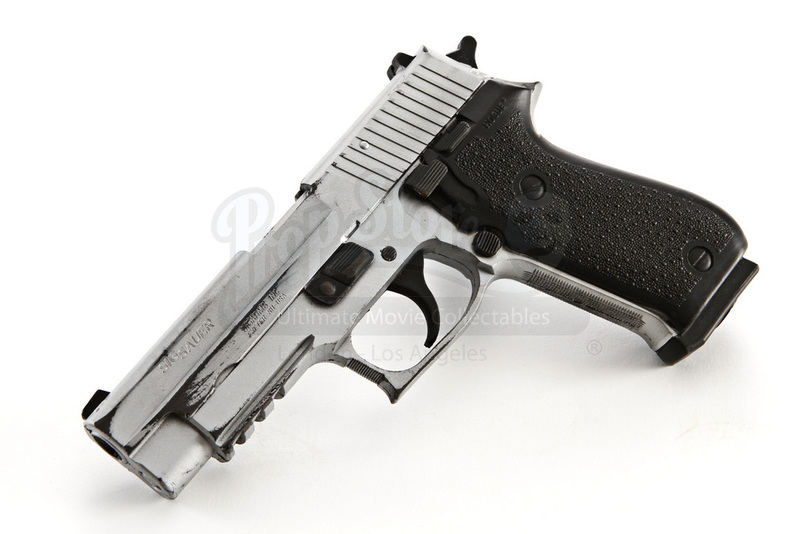 This item is a stunt SIG-Sauer P220 Compact created for the production of the 2010 action-adventure film Knight and Day. 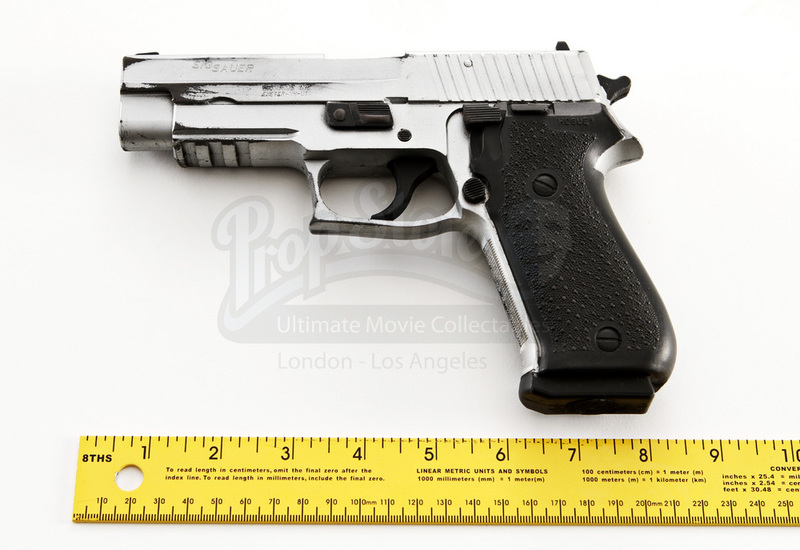 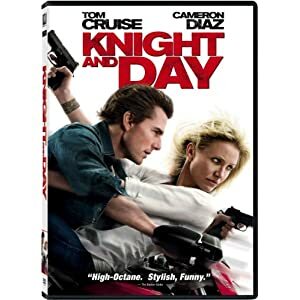 This is the stunt version of Federal Agent Fitzgerald's (Peter Sarsgaard) primarily used handgun throughout the film as he tries to apprehend Roy (Tom Cruise) and June Havens (Cameron Diaz.) 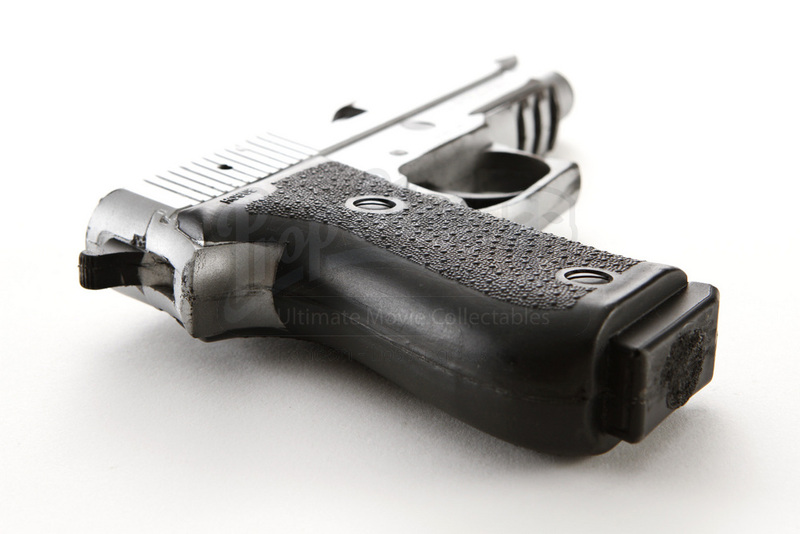 This piece is made of molded dense rubber and has been intricately detailed to look exactly like the real gun, even including manufacturer’s markings throughout. 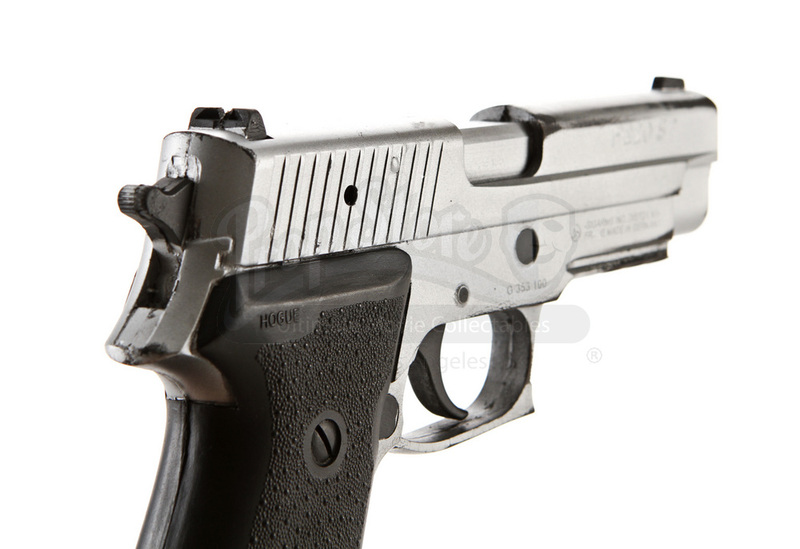 The gun was specifically made for the actor’s safety in scenes where firing guns were not needed. 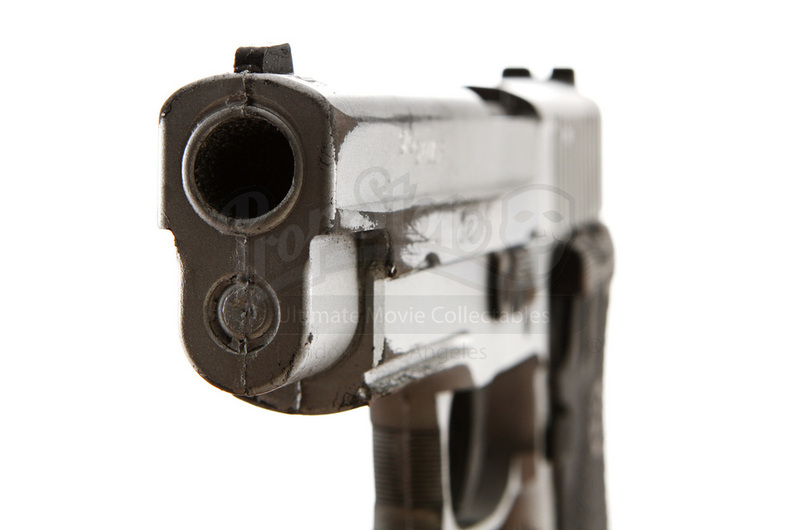 This gun measures approximately 8” (20cm) in length and is in good condition with some paint wear from production use.